Poker players in the state of Nevada have the option of enjoying the game in land based casinos as well as online. With sites such as the WSOP.com, players can log online and enjoy cash games, tournaments and special promotions. Of course, players have to follow the rules such as being within the state borders and being of age to enjoy online game play. One player is now in trouble after breaking a clause located in the online poker room’s terms and conditions. 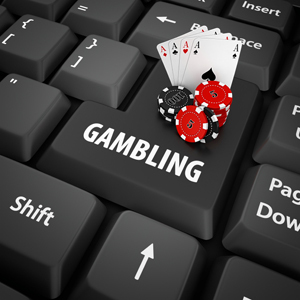 In Nevada, players are not allowed to use software that aids a player while taking part in online poker game play. According to PocketFives, a player is now in trouble after he was caught using a HUD while online at WSOP.com. Third party software tools are considered to be prohibited by the iPoker site. It was around a month ago that online poker player BTCBLADE let it slip that he was using a HUD while online at WSOP.com via Twitch. Twitch is a popular streaming service where players can stream game play and others can view it. The player has been identified by sources as Tommy Chen, the name having been matched to his Instagram page. Chen has been successful in live poker gaming, having earned close to $500,000 in tournament play. It seems that BTCBLADE would have been fine despite his slip until Randy Dorfman decided to report the activity on Twitter to the WSOP website as well as WSOP Head of Online Poker, Bill Rini. Rini asked Dorfman on Twitter to report the player if he is found to use the HUD again. This response made many feel that WSOP does not use software to detect if players are using third party assistance such as a HUD. Basically, BTCBLADE would have never got caught if he didn’t show his info on Twitch. Dorfman was not happy that BTCBLADE got just a warning for his actions instead of being banned. Rini responded that he is free to disagree with their decision. However, it seems that BTCBLADE has not been online since late November, so he may have been banned after the fact. The Nevada Gaming Commission now have the right to decide if the instance should lead to charges which could be one to six years in prison or a $10,00 fine.